The first-ever inter-Korean summit in 2000 changed the course of history for the Korean Peninsula. 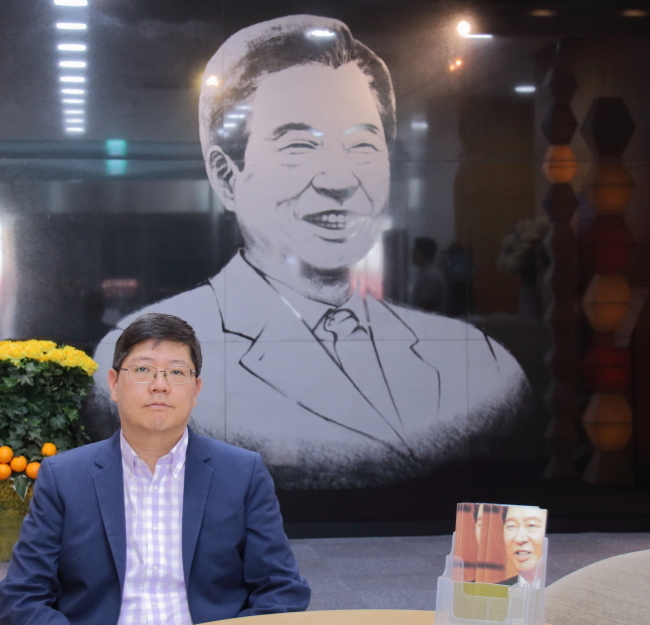 Efforts to mend ties with North Korea by then-South Korean President Kim Dae-jung were recognized by the world, and earned him the Nobel Peace Prize – and today, his youngest son is seeking to continue his father’s legacy. “My late father in 1998 wanted to create a platform for civilian exchange between the South and the North, at a time when the two governments lacked any form of exchange,” Kim Hong-gul, 54, the head of the Korean Council for Reconciliation and Cooperation, told The Korea Herald. Last December, Kim was chosen as president by the pro-unification organization that his father launched nearly two decades ago, with a mission to revive it from the dormant state that it was forced into during the two previous conservative administrations. “I was concerned that my father’s legacy was lost throughout the two previous administrations. It was almost impossible to arrange any civilian exchange across the border and with former President Park Geun-hye claiming that unification would be achieved through the collapse of the North Korean regime -- it didn’t help at all,” he said. The KCRC is known to have 200 or so members from politics as well as religious and civic groups. With the peninsula having entered a new mood of detente this year, Kim highlighted the role of civilian exchange between the South and North, amid a flurry of cross-border politics. “The Panmumjom and Pyongyang declarations are not only about exchanges between the governments, but between the people as well,” he said, referring to the summit agreements that President Moon Jae-in and North Korea’s leader Kim Jong-un signed in April and September, respectively. 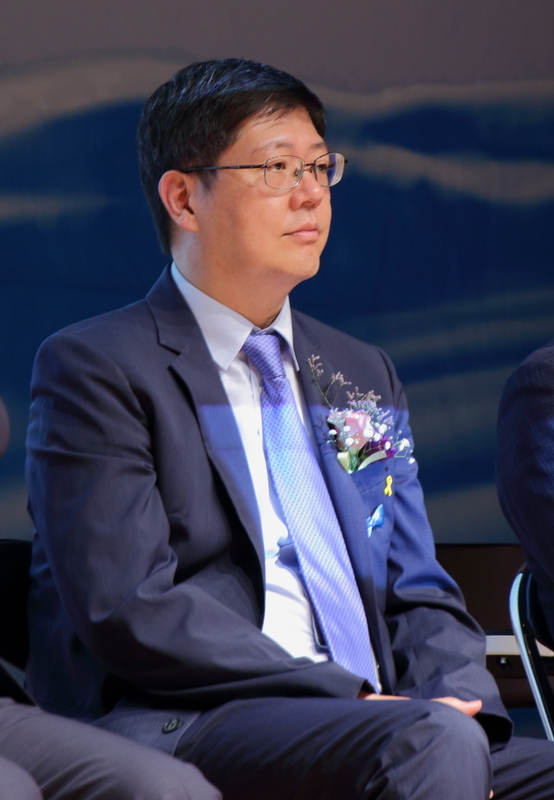 The KCRC chief said that North Korea has changed drastically since Kim Jong-un’s rise to power in 2011, and that it’s crucial to understand the new North. 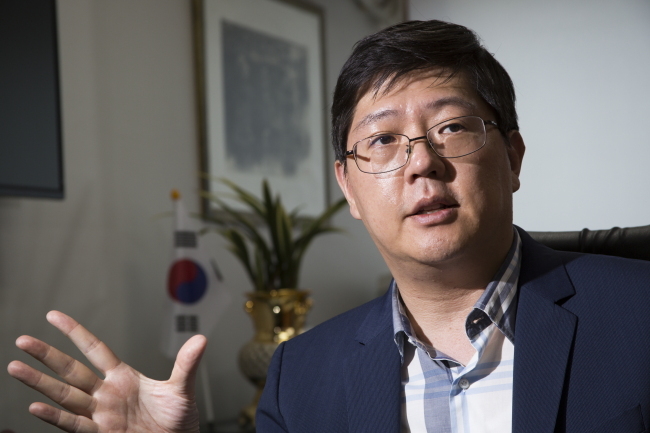 “Civilian exchanges could serve as a gateway for bigger projects and it’s a convenient way to communicate and contact North Korean officials, which can provide knowledge for us about the new North Korea,” he said. The KCRC has been not only working as a bridge connecting the peoples of the divided Korea, but working toward recovering and repatriating the remains of victims of forced labor during the 1910-45 Japanese colonial rule of the peninsula. Kim and his team visited Pyongyang in July to discuss the organization’s plans to retrieve of the remains of North Koreans in Japan. “But there are still issues that require further discussions with Pyongyang,” Kim said. According to Kim, it has been confirmed that at least two among of the 400 have relatives who are alive in the North, waiting for their repatriation. Recent data compiled by the South’s Ministry of the Interior and Safety claims there are a total of 2,770 remains of Korean forced labor victims in 340 different areas across Japan. Kim said he aims to alleviate the wavering North Korea-Japan ties through humanitarian efforts and contribute to regional peace. The project will hopefully take shape within three months at the earliest, he added. On top of his July trip, Kim revisited Pyongyang last month, as a member of a roughly 200-member special delegation assembled for the fifth inter-Korean summit and third meeting between the incumbent leaders of the two Koreas. “What shocked me when I visited Pyongyang with President Moon last month was that Chairman Kim Jong-un created an opportunity for our leader to deliver a speech in front of the North Korean people,” Kim said. While attending North Korea’s mass games at a stadium in Pyongyang, Moon delivered a speech in front of 150,000 North Koreans – making him the first South Korean leader to speak to a large audience in the North. Before the crowd, Moon proposed to completely end the 70-year-separation that has been plaguing the peninsula and take a big step toward peace. “Under a communist regime, only its leader gets to make public speeches like that,” Kim said, alluding to the significance of Kim’s gesture and the speech itself. Bearing a strong resemblance to his father, but with the smoother features of his mother, Kim relaxed a little as he discussed his parents. Kim said that he didn’t have a lot of opportunities to talk to his father as a young man, as the late president was imprisoned for his efforts to bring democracy into South Korea when he was in middle school. Kim Dae-jung was imprisoned for 31 months after the Chun Doo-hwan regime came to power in 1980, the second time he was sent to prison after serving from 1976-1978 for having participated in the proclamation of an anti-government manifesto. At various times, he was under house arrest and in exile. Kim said his father looked the happiest -- happier than when he came out of prison -- when he came back home from the 2000 Pyongyang summit and casually talked about it with his family. His mother is doing very well at the ripe age of 96, he said with a small smile. Lee Hui-ho, a women’s rights activist before marrying Kim Dae-jung, accompanied her husband to Pyongyang for the first summit and was known for her steadfast presence as a first lady.